A Year of Being Here: Susan B. Auld: "Radishes"
They grow next to the house under your bedroom window. She no longer cares for radishes. My sister, brother and I tend our own gardens. "Radishes" by Susan B. Auld, from 2011 Poetry Challenge (editor unknown). © Highland Park Poetry, 2011. Art credit: "Would you like a radish? 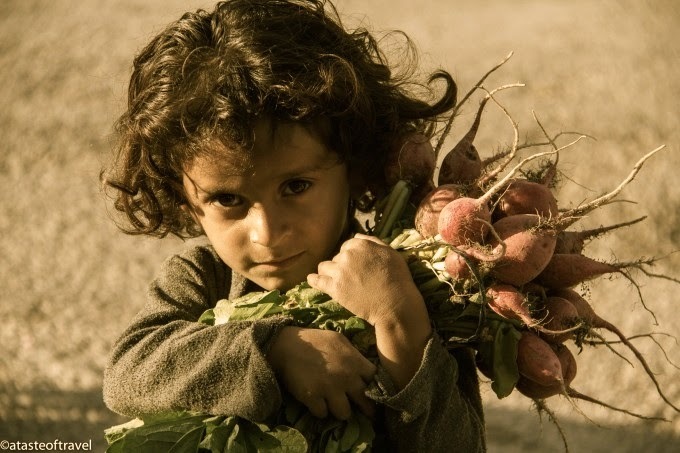 ", photograph by Jenny at A Taste of Travel, part of a series entitled "The Children of Jordan's Al-Amir Village" (originally color).